The need vs want struggle is one that we all deal with on a daily basis, whether for ourselves (do I really need that pair of shoes?) or our children (I know you want another cupcake, but it's really just going to end in a sugar high). However, while our needs and wants may be a little superficial at times, it is no joking matter that, although water is essential for healthy living, there are 748 million people that lack access to clean water – the equivalent of nearly two and a half times the United States' population. As a devastating effect, one child under the age of 5 dies every minute from diarrhea caused by contaminated water and unsafe hygiene. These people don't just want clean water, they need it. Therefore, to address this crisis and to acknowledge water's essential presence on the earth, the United Nations General Assembly declared March 22nd as World Water Day in 1993. What will you do this year to help make a difference? A day to celebrate water and make a difference for the members of the global population who suffer from water related issues, World Water Day is also a day to prepare for how we will manage water in the future. After all, water is a necessary resource for sustainable living! Give Clean Water: Help us get one step closer to providing reliable clean water sources around the world by visiting World Vision’s website to contribute to the Clean Water Fund, or make a monthly pledge. A total of $25 per month provides 6 more people with clean water every year. Take a Short Shower: Keep track of time spent showering as a reminder of the water shortage around the world. An American that takes only a five minute shower has already used more than an entire day's worth of water for the average person in a developing country’s slum. Make a Home Cooked Meal: Skip a restaurant meal and eat in. Use the time at home to talk about the need for water and donate money saved by cooking at home to give clean, life-giving water. A gift of $50 provides one new person with clean water. Rally on Social Media: Last year, World Water Day posts reached up to 700 million people. Break this record and spread the word about clean water access, using the hashtags #WaterEffect and #WaterNow. Water Now is a global clean water social media campaign that raises your voice and the voice of your friends alongside the voices of celebrities and dignitaries – including Pitbull, Pharrell Williams and more – in a week-long social-media blitz centered around World Water Day. Make and Share a Video: Pull out your camera or smartphone and make a video with your children, showing dirty water that many people may have to drink each day. Bring a water bottle or small bucket and find a puddle in the street or in a park. Use your container to scoop up the water and talk about your experience. Would you or your children drink it? 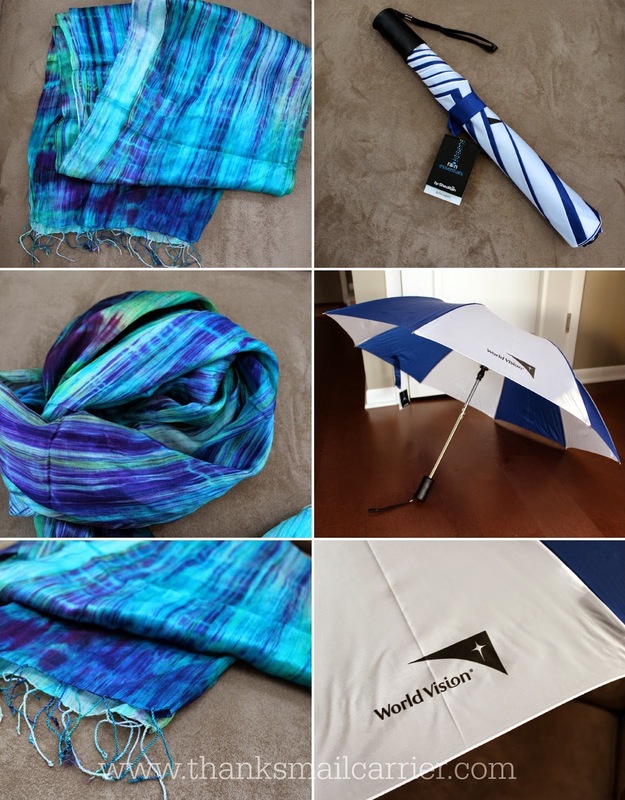 Show off a Royal Silk Scarf and World Water Day Umbrella: From the World Vision Gift Catalog, the Royal Silk Scarf is made with luxurious silk, using Fair-Trade practices. The blend of soft colors emulates the purifying qualities of water and the vibrant life that it sustains. The blue umbrella, sporting World Vision's logo and a call to save lives with water, serves as a practical reminder that rainwater is considered a precious resource for people that lack established water systems. Throughout the upcoming spring showers, use these accessories as a symbolic way to emphasize the importance and shortage of clean water around the world. The umbrella is a reminder that people in developing countries often collect rainwater for their supply and the elegant scarf is a tangible way to appreciate the life-giving qualities of water. Walk or Run 6K: On World Water Day, thousands of people will walk or run 6 kilometers (3.72 miles) for children in Africa. Each registration brings clean water and fullness of life to communities in need one person at a time. Organize a Mall Walk: For alternative scenery, gather family and friends for a mall walk to remember the significant time women in developing countries spend bringing water to families. The time North American women spend shopping daily equals the time many women devote to collecting water each day – nearly 200 million hours! 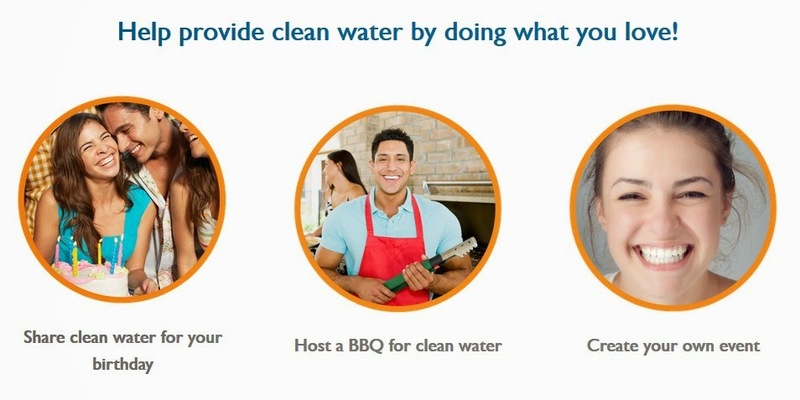 Help Provide Clean Water by Doing What You Love: Whether it's hosting a benefit concert, coordinating a bake sale, involving the kids and setting up a lemonade stand or giving up your birthday, you can be part of the water effect. Find out more here and then get involved! What will you do to join in the conversation and help to celebrate World Water Day? If you need even more inspiration or reason to take part than simply the upcoming holiday, take a peek at this amazing video for an inside look at the impact of the water crisis in one girl's life. Spoiler alert: I cried watching this. 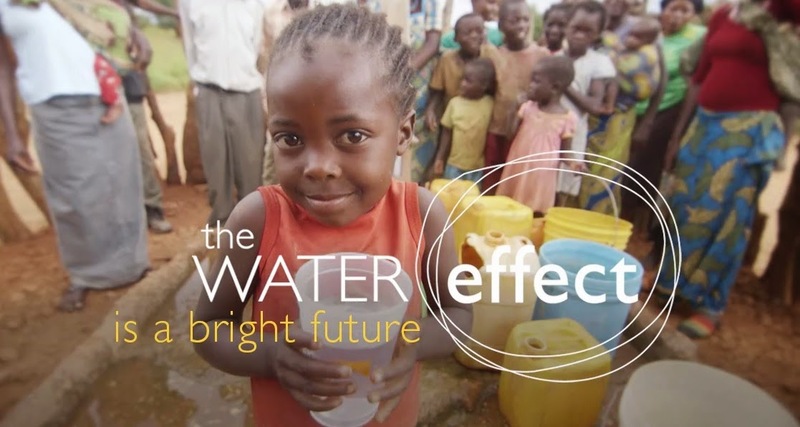 Be sure to visit World Vision to find out more and connect with them on Facebook and Twitter and by using the hashtags #WaterEffect and #WaterNow. 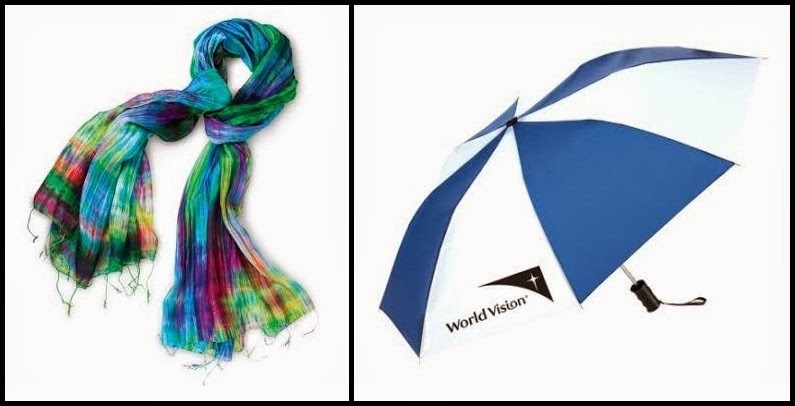 One lucky person will win a Royal Silk Scarf and World Water Day Umbrella from World Vision! A big thank you to World Vision for providing a scarf and umbrella for me as well as for one lucky giveaway winner. The opinions shared are my own and honest and if you really need to see more, click here to see how I roll.